It looks like we’re getting more details about the superhero side of Disney’s planned (and apparently still-unnamed) streaming service, thanks to a story in Variety. We already knew that the Disney service would include original Marvel and Star Wars shows. On the Star Wars side, there’s a revival of “The Clone Wars” and a live action series produced by Jon Favreau, for which Disney might pay $100 million for the first 10 episodes. 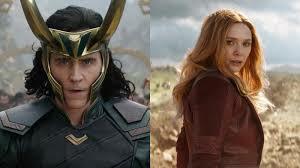 Now Variety is reporting that Disney has plans for limited series that will star Marvel superheroes like Loki and Scarlet Witch (yes, they’re actually reformed supervillains, but let’s not get technical here). Basically, these are characters who are popular but maybe not popular enough to carry a big-budget film on their own. That also means you shouldn’t expect an Iron Man or Captain America series. Disney and Marvel haven’t confirmed any of these plans, but this does sound like a plausible approach. Apparently, the goal is to create a limited series of six to eight episodes.